[PDF] The Principles of Physics: Chapters 1-34 | Free eBooks Download - EBOOKEE! Description: For Introductory Calculus-based Physics Courses. 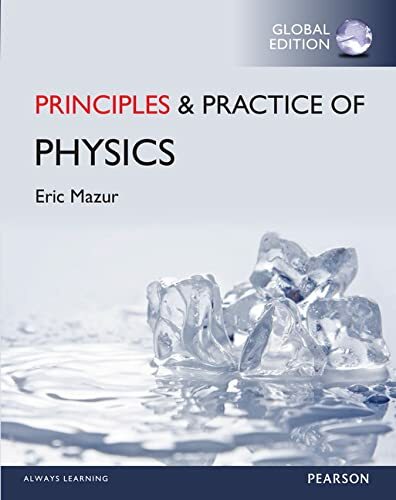 Putting physics first Based on his storied research and teaching, Eric Mazurs Principles & Practice of Physics builds an understanding of physics that is both thorough and accessible. Unique organization and pedagogy allow students to develop a true conceptual understanding of physics alongside the quantitative skills needed in the course. New learning architecture: The book is structured to help students learn physics in an organized way that encourages comprehension and reduces distraction. Physics on a contemporary foundation: Traditional texts delay the introduction of ideas that we now see as unifying and foundational. This text builds physics on those unifying foundations, helping students to develop an understanding that is stronger, deeper, and fundamentally simpler. Research-based instruction: This text uses a range of research-based instructional techniques to teach physics in the most effective manner possible. The result is a groundbreaking book that puts physics first, thereby making it more accessible to students and easier for instructors to teach. MasteringPhysics works with the text to create a learning program that enables students to learn both in and out of the classroom. This program provides a better teaching and learning experience for you and your students. Heres how: Build an integrated, conceptual understanding of physics: Help students gain a deeper understanding of the unified laws that govern our physical world through the innovative chapter structure and pioneering table of contents. Encourage informed problem solving: The separate Practice Volume empowers students to reason more effectively and better solve problems. Personalize learning with MasteringPhysics: MasteringPhysics provides students with engaging experiences that coach them through physics with specific wrong-answer feedback, hints, and a wide variety of educationally effective content. MasteringPhysics is not included. Students, if MasteringPhysics is a recommended/mandatory component of the course, please ask your instructor for the correct ISBN and course ID. MasteringPhysics is not a self-paced technology and should only be purchased when required by an instructor. Instructors, contact your Pearson representative for more information. MasteringPhysics is an online homework, tutorial, and assessment product designed to personalize learning and improve results. With a wide range of interactive, engaging, and assignable activities, students are encouraged to actively learn and retain tough course concepts. 2018-01-28[PDF] The Geometry of Physics: An Introduction. No comments for "[PDF] The Principles of Physics: Chapters 1-34".